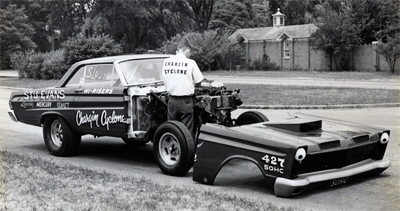 Most of the pictures of the 1965 Comet Cyclone show it with a small popup hood scoop and carburetors. 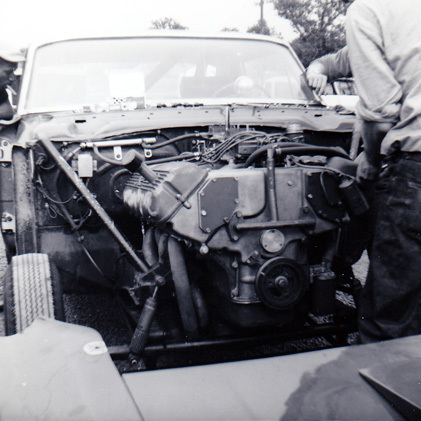 Also see here for a shot of the engine setup. 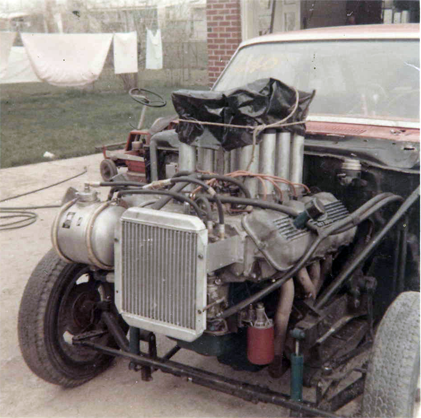 In the image below the vehicle has a fuel injection unit on it. 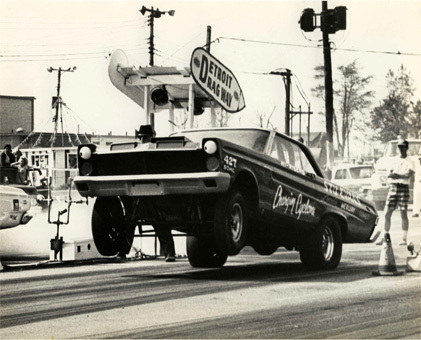 More than likely this was testing for the combination that would run in the 1967 Cougar called ‘Super Cat’. Tom Tate sent me this picture (among others). 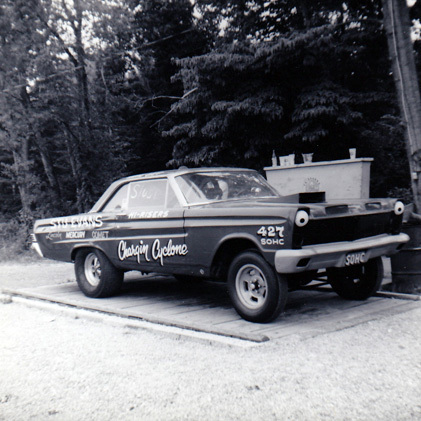 The Comet sitting on the scales. 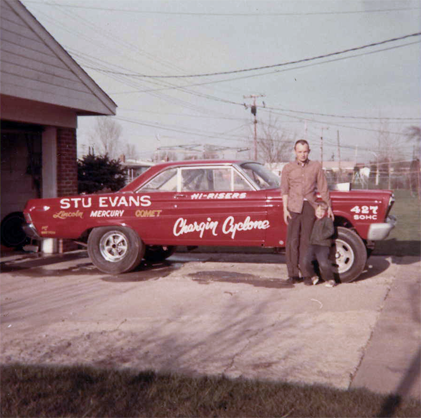 Nice shot that shows the modified wheelbase and the general attitude of the car. 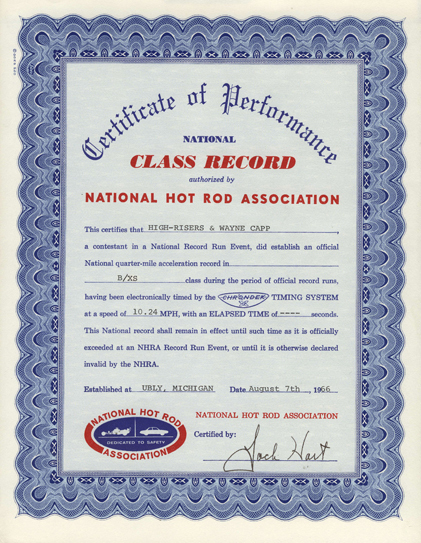 This image comes from a scrapbook that we had. 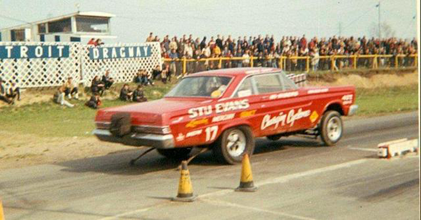 Shows the 1965 Comet Cyclone named the ‘Chargin’ Cyclone’ launching off the line at the old Detroit Dragway. Pretty cool shot of the car. Can you tell I like the name ‘THUNDERBOLT’? Anyway, here’s another pic that a guy sent me. 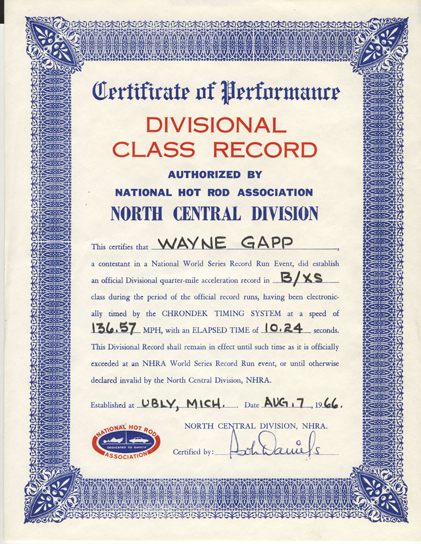 He was asking about my Dad’s participation in the 1969 Winternationals. 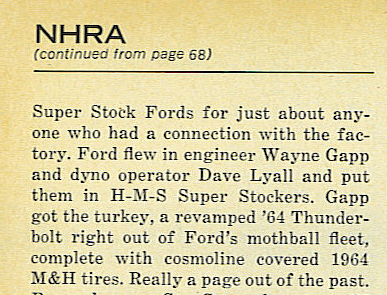 The write-ups after the meet indicate that he was there and participated driving a 1964 Thunderbolt. Of course, when I asked about it I got another story. 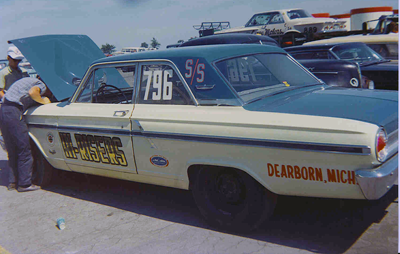 Ford was supposed to prep a ’64 Thunderbolt but the vehicle was not finished in time.